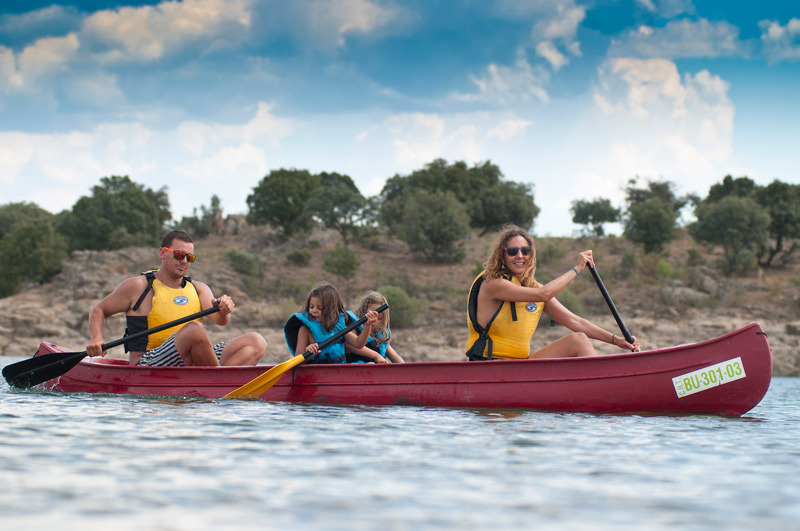 Double guided kayaks for enjoying a trip on the lakes of the Lozoya river. 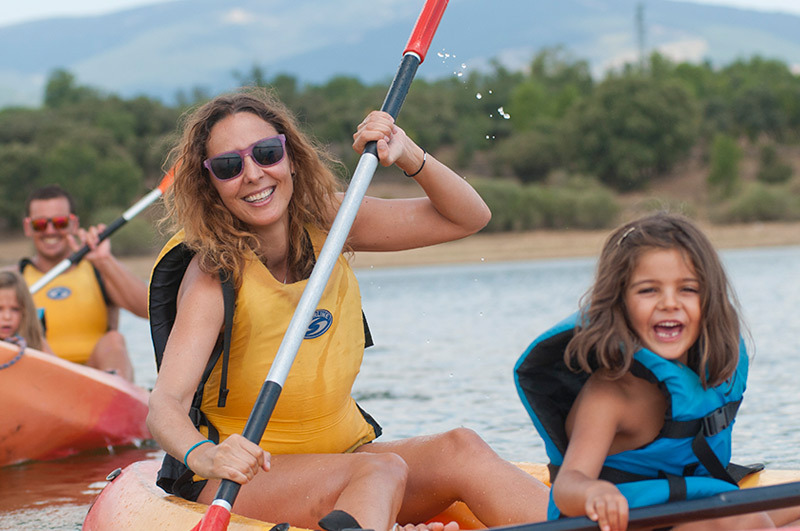 We will teach you how to use the kayak. Routes designed for children. 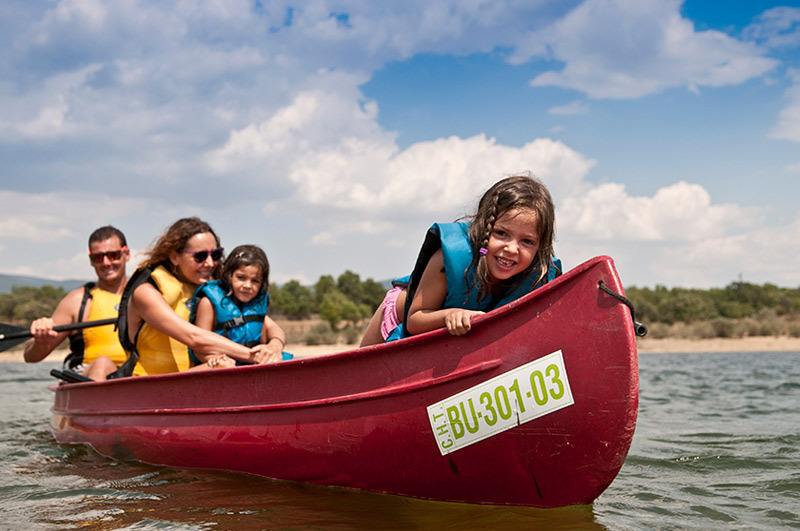 Kayaking in Madrid for kids! Guided tours in double or triple canoes. We teach you how to use it. Ideal for kids. From 2 to 2 1/2 hour.